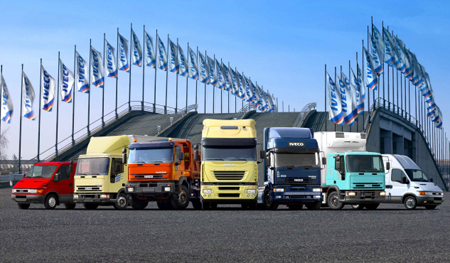 Iveco Trucks: Diversified Taste Of Driving! Iveco is one of the most popular truck manufacturers of the world, considering their variety and unique ability of being designed for specific purposes. Iveco has its roots in Turin, Italy, and is recognized as a manufacturing giant for trucks, diesel engines and buses. The company is a subsidiary of Fiat Group, having its name shortened from the terms – Industrial Vehicle Corporation. The company provides top passenger transport in the field of medium duty vehicles. The production and annual revenue in 2007 had been quite overwhelming for the company and its trucks. Iveco has launched many great models in trucks over the years, among which Iveco Trakker, Iveco Eurocargo and Iveco Stralis have been quite popular amongst its users. The Trakker has been designed as one of the most effective Iveco Trucks to cope with extreme situations at construction sites. The extreme conditions along with challenging environments are absolutely no trouble for the Iveco Trakker. The vehicle carries out several tasks, which includes transporting concrete, making proper use of objects at the quarry, picking up exceptional loads and plough in the snow. It can be obtained in several models including 4×4, 8×4 and others, which can pick up about 270 to 440 horsepower. Eurocargo was the biggest success of the Iveco Trucks, as it had been designed to serve all-purpose through its flexible frame. It guaranteed complete satisfaction from the operator and was simply great in terms of productivity and reliability. The vehicles adaptive nature allowed it to be used in more than one application thanks to its modular frame, which takes up several versatile modes, but does not compromise on the designing integrity. It is easier for Eurocargo to adapt to the environment, due to its 4 wheel drive and low chassis for urban dispatches. Iveco Stralis comes in the form of two different ranges – Active day and Active space. Each of these models has their unique features that enable the owner of these vehicles to use them in the best possible manner. The Stralis Active Day is specially designed to cater to the necessities of a long journey that does not include overnight stay. As for the Active Space, it is more like that of the caravan, in which the individuals have to put up overnight. Overall, the Iveco Trucks have a unique trait separating them from the other brands and at some particular aspect they are the only choice for individuals. With several brand names, Iveco became a recognized truck manufacturing organization and has been the official global sponsor of All Blacks’. In the near future, Iveco will be launching more and even better than the current lot of models bringing upon a revolution in truck manufacturing. No matter what happens of being subsidiary, Iveco will keep on its good work for a long time to come. Some of the great trucks provided by Iveco are definitely praiseworthy and have been given great reviews by their owners. The company has been developing these vehicles for a long time and with their experience, now they are delivering exactly what the people require.